After Eamon Fitzmaurice's decision to step away from the Kerry hot seat a few weeks ago, having guided Kerry to six Munster titles, a national league and an All-Ireland title in 2014, the abuse that had/has been directed towards him has been well document. Former managers in both hurling and football in other counties have also come out to let us know they too were targeted by abusive fans from within their own county. There is simply no place for this in our game. I'm sure some of you may be aware, others maybe not, but we don't have to go to Kerry or other counties to find such vile abuse directed towards a manager. It has happened right on our door step. So called Mayo supporters have taken the time to pen letters to managers past and present that are vile in context and some have been very personal and insulting to the managers and their families. It hasn’t been a random act by one or two individuals either, you're talking about hundreds that have taken the time to pen hateful and abusive letters and post them to a person's house. The social media syndrome has taken it to a whole new level. Facebook and Twitter have made it easy for 'keyboard warriors' to direct personal abuse towards any person they want. 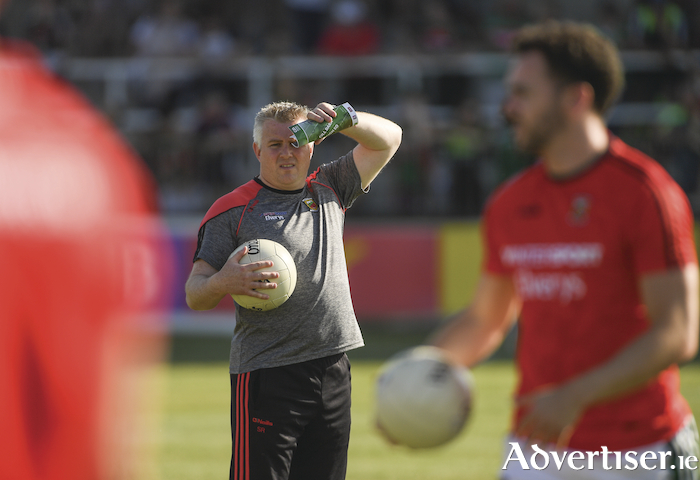 As it so happens, GAA managers seem to be the flavour of the month at this time of the year, especially when their team exits a competition or loses a big game. The ironic part about it is if you asked the people who pen these letters or write these vile posts to deliver their message face to face, they will run and run and run. I have absolutely no issue with constructive criticism or questioning a decision or querying a tactic of a manager but when it comes to personal hate towards a human being or their family members it crosses the line for me. We have an extraordinary bunch of supporters in Mayo, so loyal to the team and management but every group, no matter in what aspect of life, have a tiny minority that let the side down. I was always told growing up, if you have nothing nice to say, don't say anything at all. I'm not sure all referees will agree I kept my end of the bargain. Stephen Rochford's recent decision to stay at the helm of Mayo football has certainly caused debate amongst our own again with those outside the county smiling, watching us stick knives in each other on social media. I'm sure at this stage Rochford is thick skinned but he has a young family and they all have feelings. Maybe his decision to remain has irked people for a number of reasons: The fact we haven't won a Connacht championship since he took over. Losing to Kildare and not making the Super8's might be unacceptable for some and decisions in big games over the last three years are certainly questionable. The insecurity around not knowing his, backs room team for 2019 could be an issue, but the reality is this: Dublin are in my opinion the greatest team ever. They are going to win a fourth title in a row in a few weeks. In 2016 and 2017, Mayo put them to the pin of their collar in two All-Ireland finals under Rochford's watch. Both years Mayo were rank outsiders and had navigated their way through a treacherous qualifier route. Nobody gave us a hope in either final. We drew one, lost the replay by a point and last year lost the final again by a point. In 2016 Rochford's team kept the most prolific forward division that GAA football has witnessed, scoreless for 30 minutes in an All-Ireland final. Was it his fault the same day that Mayo would bizarrely score not one but two own goals on the biggest stage? Yes he has made mistakes but under his watch we were the only ones capable of giving it to the Dubs. If you've never made a mistake in your life then fire away with the abuse but remember it's directed at a person trying to do his best, a person with feelings like the rest of us. If you have a brother, sister, son, daughter wife or husband that you wouldn't want some of the tripe I'm reading on social media directed towards, then think before you make a comment, especially to one of our own. Unless it's complimentary of course.